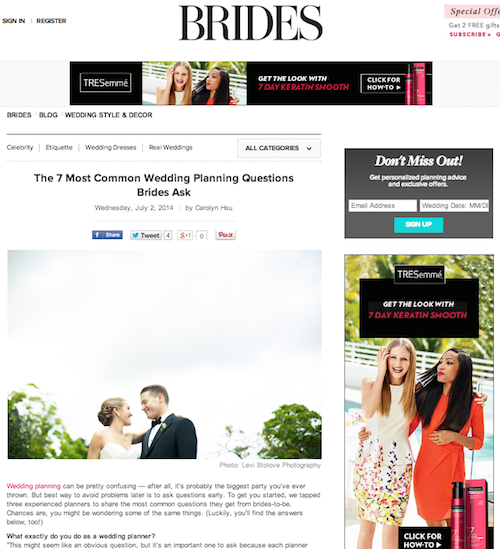 Brides asked us what the most common wedding planning questions are from our brides and we were happy to share some questions and our answers. Click on the image below to read more on Brides. We had such fun chatting with them!